Create a Chef Collection kitchen, and the dishwasher is on us. 1 After submitting valid Offer Claim Form and receipt. Chef Collection, Vacuums, Microwaves, and all accessories are not eligible. Offer claim form must be submitted online by August 13, 2019 or postmarked by August 13, 2019 and received by August 23, 2019. While supplies last. Limited quantities available. 2 After submitting valid Offer Claim Form and receipt. Both appliances must be purchased in the same transaction (i.e., can purchase one  eligible washer from the 9600 or 9900 series AND one  eligible dryer from the 9600 or 9900 series). This specific offer is not valid on purchases made from Lowes, Best Buy, Costco, or The Home Depot, but please visit each retailer in-store and online to view similar offers on these products. Offer claim form must be submitted online or postmarked by October 8, 2019 and received by October 18, 2019. While supplies last. Limited quantities available. 3 Purchase a qualifying Samsung Chef Collection Built-In Refrigerator, Wall Oven, and Cooktop from a participating retailer and receive a qualifying Samsung Chef Collection Dishwasher at the point of purchase. Purchase a qualifying Samsung Built in Chef Collection Refrigerator and Pro Range from a participating retailer and receive a qualifying Samsung Chef Collection Dishwasher at the point of purchase. Builder showroom sales are eligible for this promotion. Builder quotes are not valid in this offer. See list of qualifying Chef Collection refrigerators and appliances. Qualifying Purchase must be completed from a participating retailer in-store or online between January 1, 2019 and June 30, 2019. Learn more. 4 Subject to valid offer claim form. Click Learn More to see Official Terms and Conditions. 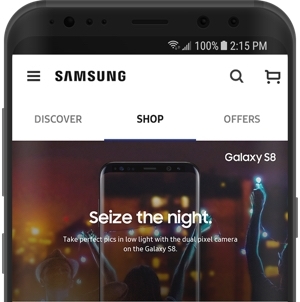 © 2019 Samsung Electronics America, Inc. Samsung is a registered trademark of Samsung Electronics Co., Ltd. Screen images simulated. Appearance of devices may vary.